The death penalty was outlawed between 1914 and 1920, again between 1964 and 1978, and then again between a 1981 Oregon Supreme Court ruling and a 1984 ballot measure. Since 1904, about 60 individuals have been executed in Oregon. Aggravated murder is the only crime subject to the penalty of death under Oregon law. The topic has arisen this fall because prosecutors plan to bring aggravated murder charges against Jeremy Christian, who in 2017 hurled racist slurs at two girls on a MAX train and then stabbed to death two men who came to the girls’ defense. One of the victims was Rick Best, a member of Christ the King Parish in Milwaukie. The end of the death penalty in Washington state could spark a similar outcome in neighboring Oregon, say leaders of the local abolition movement. “Clearly, both Washington and Oregon have a conflicted and reluctant history with the death penalty,” said Lynn Strand, a member of Our Lady of the Lake Parish in Lake Oswego and vice chairwoman of the board of Oregonians for Alternatives to the Death Penalty. 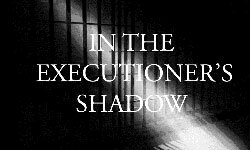 Strand points to both moral and fiscal reasons that Northwesterners want to nix executions. The Washington Supreme Court on Oct. 11 ruled that use of the death penalty is arbitrary and racially biased and converted sentences for the state’s eight death-row inmates to life in prison without the possibility of parole. Oregonians for Alternatives to the Death Penalty includes a faith committee that will work to get Catholic parishes and other churches involved in an abolition campaign here. On the committee is Roger Martin, former Republican state lawmaker and longtime lobbyist for the Catholic Church in Oregon. Efforts also are underway at Oregon Catholic high schools. Ron Steiner, a member of Queen of Peace Parish in Salem, has served as chairman of OADP, a volunteer grassroots group. He will stay involved but has turned the lead over to Lance Mayhew, a member of The Madeleine Parish in Northwest Portland. OADP’s board now includes 13 people, the largest in its history. “Killing human beings is immoral,” said Mayhew, a local travel and food writer. Despite the similarity between Washington and Oregon sentiment, Oregon’s death penalty is part of Oregon’s constitution. That’s why Oregon abolitionists are aiming to work through the state Legislature instead of the courts. As in Oregon, executions have been rare in Washington. Five Washington prisoners have been put to death in recent decades. In 2014, Gov. Jay Inslee imposed a moratorium blocking its use. In Oregon, which has a moratorium set down by Gov. John Kitzhaber and extended by Gov. Kate Brown, only two inmates have been executed since voters reinstated the death penalty in 1984. There are 34 inmates on Oregon’s death row. It was on Kitzhaber’s watch during his first terms in the 1990s that the last two Oregon prisoners were executed, mostly because they begged for death. That experience seemed to weigh on his mind when he announced the moratorium in 2011. Washington became the 20th state to abolish the death penalty by legislative act or court decree, the seventh since 2014. New forensic science has shown a horrifying fact — the wrong people get sentenced to death now and then. Since 1973, 161 people sentenced to death have been exonerated in the U.S. Some fiscal hawks support the Washington state ruling. “Conservatives in Washington state and across the country increasingly realize the death penalty is a failed government program that does not value life, threatens innocent people, and wastes money,” said Hannah Cox, national manager of the organization Conservatives Concerned About the Death Penalty. Not only is the death penalty racially biased, it is “extraordinarily expensive and does not do much to deter violent crime,” writes William Kelly, a professor of sociology at the University of Texas and the author of four books on criminal justice reform. In an opinion piece published Oct. 17 in the Houston Chronicle, Kelly argued that the Washington state ruling may help abolition efforts nationwide. Kelly wrote that capital cases in Texas cost about $2.5 million each, about 10 times the cost of a comparable non-death penalty case. The death penalty’s use already is declining. There were 300 death sentences imposed in 1995. In 2012, the number dropped to 82. Last year, it was 39. One reason, Kelly wrote, is that states have been giving judges and juries options in the form of sentences of life without parole. Two-thirds of the world’s countries have abolished the death penalty, including all of the nations of the European Union, Canada, Australia, New Zealand and every other major U.S. trading partner with the exception of China and Japan. The top five countries in terms of executions are China, Iran, Iraq, Saudi Arabia and the United States. Three states — California, Florida and Texas — have nearly 50 percent of the nation’s death row population.